Using alternate characters to create a more natural pen-drawn appearance. I have not heard of font technology that will randomly substitute letters, though I do remember one font that came out years ago (Beowolf), where the points would move around slightly to vary the letter shapes. But the technology was a novelty that kind of came and went. Each of our all-uppercase Balloon Lettering fonts includes slightly different letters on the upper and lower case, to allow you to vary adjacent letters in words, or oft-repeated words like “the, “of”, etc. Additionally, the Opentype version will automatically substitute two letters in a row with alternates in Opentype-savvy programs like Illustrator CS and above, and Indesign 2.0 and above. Usually this is enough variation to keep text from looking too obviously uniform. And if someone’s looking closer than that, then they’re paying more attention to the technique than the story. That’s not the purpose of lettering (and creating comics) — which is to tell a story! Richard and I decided pretty early on that our goal when designing fonts is NOT to perfectly replicate the appearance of pen lettering. Computers are designed to perform a task the same way every time, and fighting that natural tendency can take a ton of time and energy that we’ve found isn’t very well spent. If you really want your comic to look pen-lettered, you’re better off lettering it with a pen! They’re still available in many stores, 🙂 and it’s not any faster or slower than lettering with a computer. 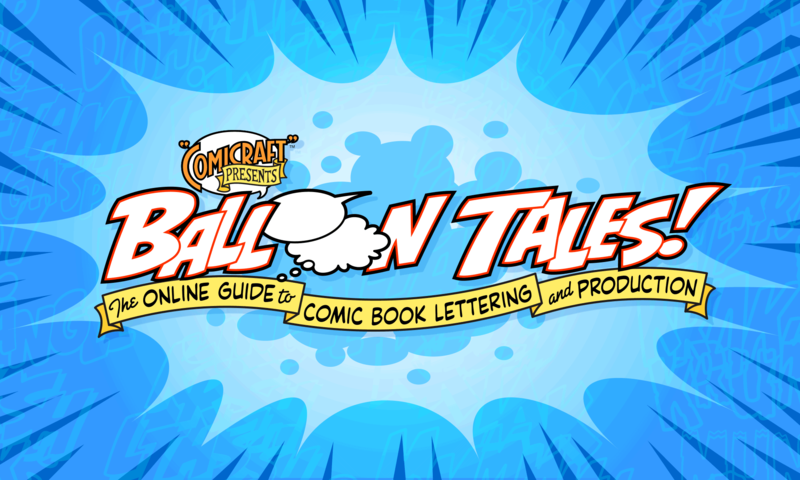 Instead, we create our lettering fonts to approximate styles that comic readers are familiar with, while also taking the opportunity to explore other looks and techniques that a computer can accomplish but a pen never could. The computer offers many advantages: consistency from page to page, collaboration between more than one letterer, ability to change styles for different books, ease of making corrections, the option to keep the lettering separate from the artwork (to change languages for other editions), control of color effects, and much, much more. The all-uppercase pen-drawn lettering style of comic strips grew from the production necessities and printing limitations of the previous century. We feel that our lettering should take advantages of the tools we have now, to evolve towards newer and more interesting places!